Left Shenandoah National Park. It was more trouble than it was worth. Can you believe I spent nearly a hundred miles over the last three days just going back and forth from the Walmart to the park entrance? Crazy. There is a state park in Pennsylvania that allows motorized camping and is more or less on my way to my next family visit. It will lack the grand panorama views, but I can stay in one place for more than a few hours. Plus, no crowds of autumn leaf hunters. I’ll need to get a camping permit from the state park office, but at least it is free. 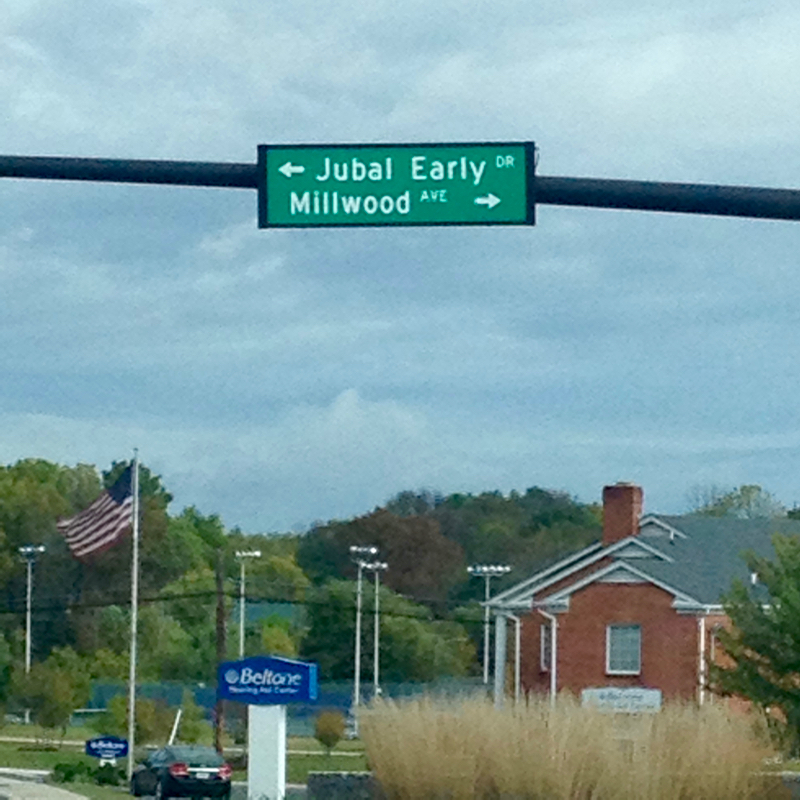 Street name: “Jubal Early” Brownie points if you catch the reference! 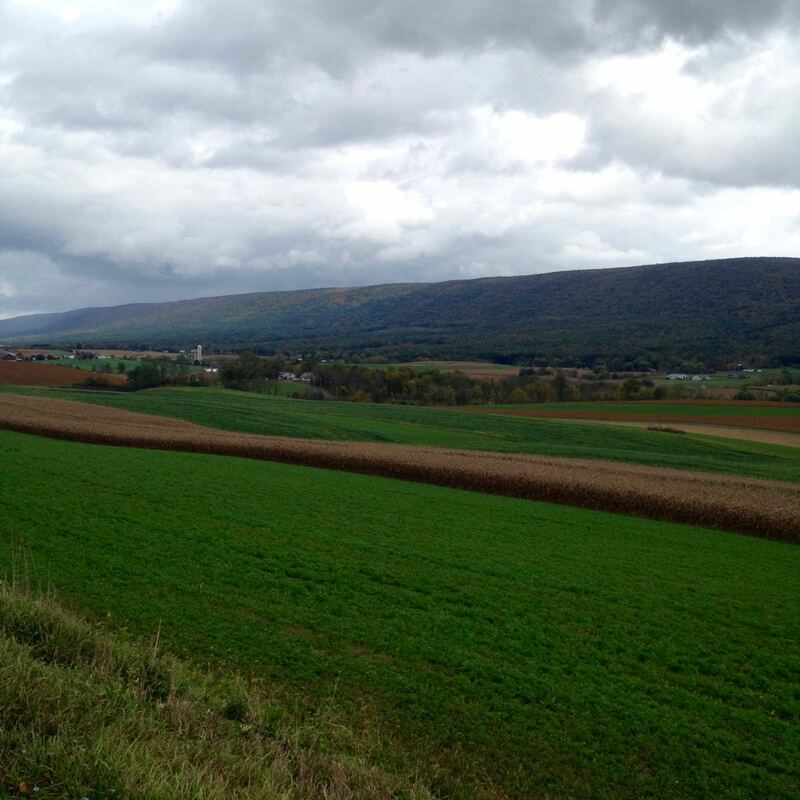 There are lots of quaint, small towns along the backroads of PA. It is amazing how much I have missed spending most of my life on the major highways and interstates. 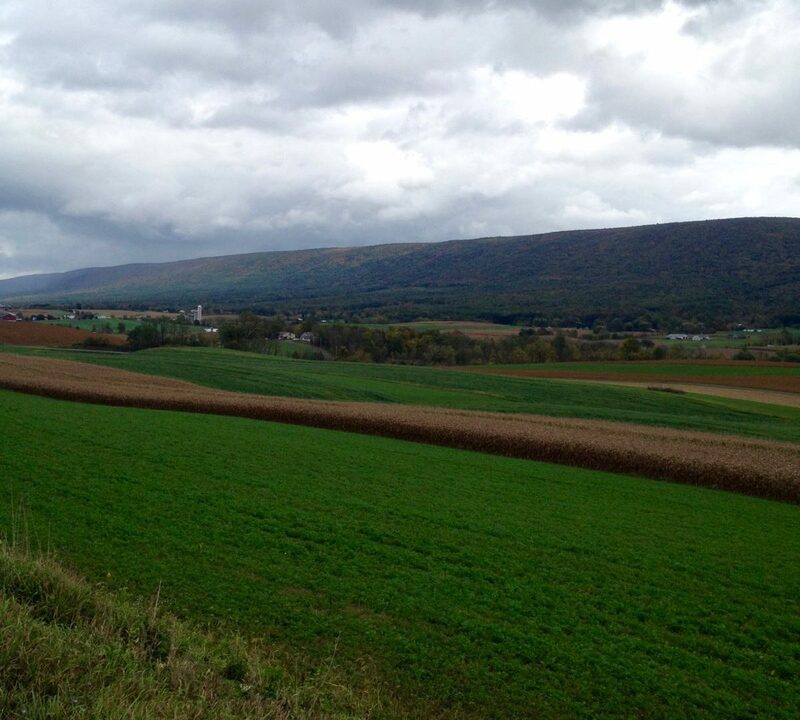 I kept a lookout for farm stands, hoping for some locally grown produce straight from the farmers. This is one of the things I am really looking forward to on my grand adventure: buying local produce from the source. If it is a little cheaper, that’s nice, but even if it is the same price that I would pay at stores and co-ops, at least all the money is going to the producers. Okay, so yes, I’m being very frugal about spending money, even on food, but there is one big caveat to that. When I buy food, I am buying good food. As much as possible—and it is far from always possible—organic, hormone-free, and local. This is being frugal. Here’s the logic. If I buy cheap foods now, which have been striped of most of their nutrients through excessive processing and pumped full of preservatives, pesticides, antibiotics, and hormones, I pay less now, but much, much more in the long run through medical costs and feeling crappy or sluggish or cranky without even knowing why. I will be more prone to illnesses and injuries, it will take longer for me to recover from them, and so gradually, over time, since I just don’t feel like doing much and everything hurts, I will do less and less, and so be able to do less and less, in a downward spiral. If I pay a little more now to buy nutrient dense foods that are free of harmful chemicals and hormones, my body will be supported for a long time. I won’t get sick or injured as often, will recover faster, and will have the energy to get up and do whatever it is I want to do, and as I do more, I will be able to do more, avoiding many thousands of dollars in both direct and indirect medical costs. It’s not a magic bullet for health, but it is a large piece in the very complicated puzzle of staying healthy. Plus, I will just feel better. And the food tastes better. So even though it sometimes hurts to fork over the cash for the organic option, I know it is an investment in me. Future Martha will thank me. My first cider of the season. The farm owner was unloading a truckload of pumpkins, and they had several other veggies as well. I got an onion, peas, a head of cauliflower, but passed on the apples. I’ve had plenty and still have leftover apples. I asked the farmer if they make the cider there, and he said “we have a couple local Mennonite boys make it for us.” I passed several Mennonite horse pulled buggies on the road. Got to the state park office in mid-afternoon, and they were closed today. It never even occurred to me that it is a public holiday, Columbus Day. I am so loosing track of time. So I drove to the nearest Walmart, about 20 miles away. This is becoming an all-too-frequent habit. But it is nice to have a stand-by. What are your thoughts about organic produce? Or less processed foods in general? Is it worth it to you? I’m interested to hear your thoughts in the comments below.